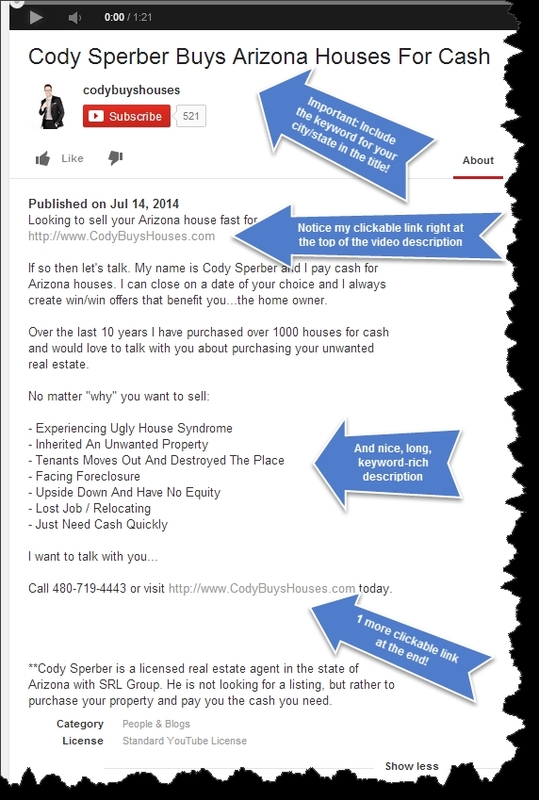 HomeArticlesCheck Out My New “Cody Buys Houses” Commercial! Check Out My New “Cody Buys Houses” Commercial! Hey, guys. I’m super excited to share my brand new real estate investing commercial that I just uploaded onto YouTube. We’re already getting a ton of great feedback from it. As you’ll see, it’s very different. 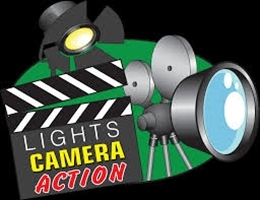 After you watch my commercial, you’ll see that I provide some killer marketing tips below so you’ll be able to create your own awesome commercial. Follow my advice and I bet you’re commercial will be as successful as mine has been for me. There are several nuances that make this commercial especially effective that you may not be aware of. More and more investors are tapping into commercials or YouTube videos, but I see so many of them who are just not doing it right. Let me break this video down for you so I can show you some things that we really do right and that are different from the competition, then you can learn from it. Why? Because it’s MEMORABLE. This may be counterintuitive to some people because real estate investing is serious business. Frankly, any time you can get someone to remember you – it’s a good thing. There’s a little concept called “mindshare” that is based on the idea that you only have but so much room to store information in your brain. If I asked you to name all the toilet paper companies you could think of, how many could you name? There are probably 50 brands out there, but most people would only be able to name 3-5. Those are the ones that have made the biggest impression on you and harvest your mindshare. This concept applies across the board to any industry – including investing. When people are ready to market their house, you want to be one of the names that comes into their head; their mindshare. How do you do this? By being memorable. And you do this by being corny, whimsical or down right hilarious. My basic message is “we buy houses,” so the fundamentals are there in terms of what is time-tested and deliverable in marketing, but I’m definitely delivering it in a different way than anyone else. Be different, be unique and set yourself apart from anyone else. This may seem like a DUH moment, but for anyone who doesn’t know… Google owns and friggin’ LOVES YouTube. They give preferential treatment when it comes to YouTube videos, so it’s easier to get #1 results than it is with a regular webpage. Next to Google, YouTube is the second largest search engine in the world. (Wrap your noggin around that!) People searching for anything, even if they aren’t looking for it as a video, now go to YouTube as a primary search engine. Also, take full advantage of the title and video description field. Keywords are really important because Google will rank you by your title first, then any keywords second… so use them wisely. Notice in this video, the very specific type of motivated sellers I mentioned. Even if it’s a fun, whimsical video like this, you still want your marketing message to strike right at the heart of someone’s painful need… you need to CALL THEM OUT BY NAME if you can and be specific so people might even think it’s meant to be that they stumbled upon your message to help them solve their problem. Then give them the good news by offering to relieve their pain by providing them a solution to their problem, which is – YOU. You’re a solution to their yucky real estate problem. Well, that’s all I have for today, but I hope I gave you guys some new info to store in your marketing mindshare.